He had no need for any witness about man; for he himself had knowledge of what was in man. Joh 2:23 Now while he was in Jerusalem at the feast of the Passover, a great number of people came to have faith in his name, after seeing the signs which he did. Joh 2:24 But Jesus did not have faith in them, because he had knowledge of them all. 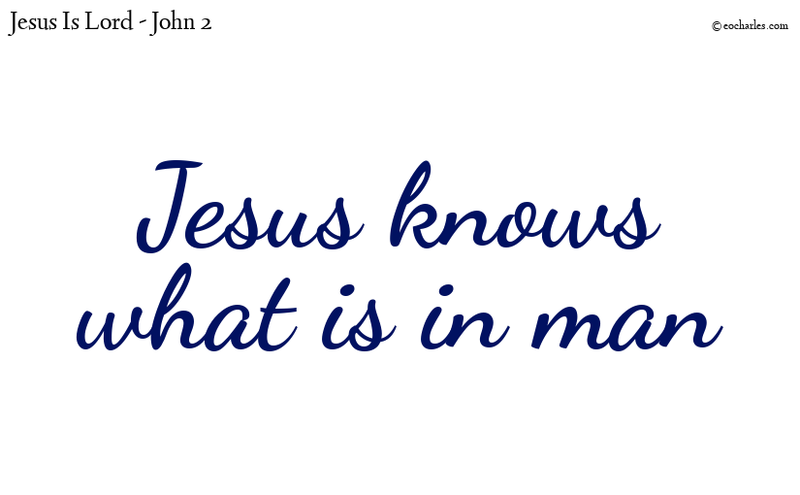 Joh 2:25 He had no need for any witness about man; for he himself had knowledge of what was in man.